With Book Expo America coming up in a little over a week, I thought I would feature one of the pretty covers I hope to see there! There are so many beautiful covers coming out in the next few months, it was hard to decide! I wasn't able to find out information on this beautiful cover art, but, with a little luck, maybe I can ask Gennifer myself at BEA! From perusing her website, I noticed that Gennifer Albin is quite a cover artist herself! Info via Albin's website. You can also check her out on Goodreads, Facebook and Twitter.
" I like coffee. A lot. Writing gives me time to go get a cup without my kids. I like books as much as I like coffee, but it is easier to read with children hanging on you than drink coffee due to the threat of third degree burns. That’s why coffee gets top billing in my intro: its unattainability. I have a Masters in English with a specialization in 18th century women’s studies. While this is a highly marketable area of expertise, it pretty much means my 4 year-old son uses correct grammar and I’m behind on publications of the last, oh, 100 years or so. I have a ridiculously supportive husband who dreams of being included on a book jacket: “The author lives in Kansas with her husband, two children, and a Tuesday cat.” He even cooks dinner. 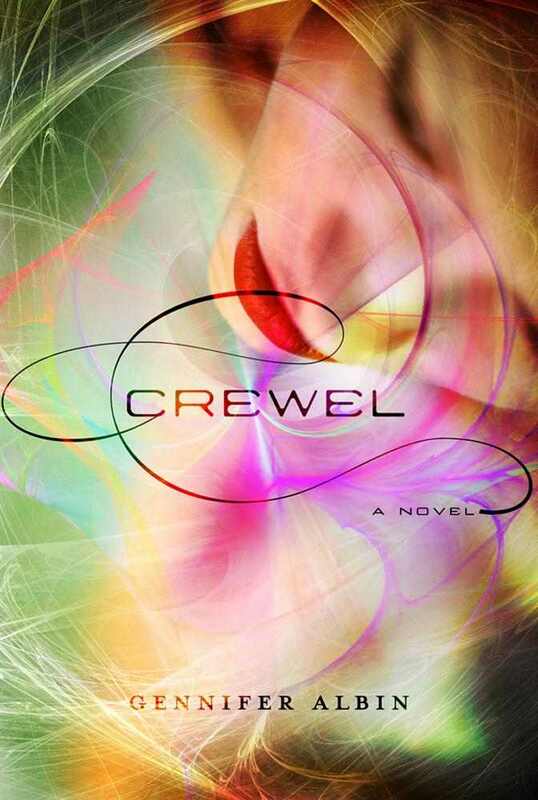 My debut novel, CREWEL, was written during NaNo ’10 and will be published on October 16, 2012 by FSG/Macmillan. I’m represented by Mollie Glick of Foundry Literary + Media." I love the colors in the cover! I love the way they swirl out from the middle. I think they are the main reason I have been obsessed with this cover since I first saw it on Goodreads. The model is obscured enough to not be distracting and the red lipstick really makes her standout! The synopsis of Crewel sounds unique and interesting. I can't wait to dig in! This cover is gorgeous and so different than any cover I have seen. I love the spray/swirls of color and light. I can't wait to try this book. I had to delete my previous comment because of a typo. I hate typos!! So here it is again! Lol. 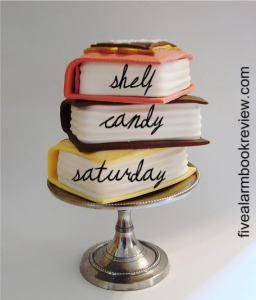 Thank you so much for commenting on my Shelf Candy post! And I LOVE your pick!!! This is one of my all-time favorite covers!!! Even though blue is my absolutely favorite color, I also love hot pink (I don't like pale pink, though), as well as lilac, purple, and some shades of green; I happen to love the shade on this particular cover. The combination of colors here is just beautiful! The composition is perfect -- sheer genius!! And, of course, I also love the plot. I already have this book in my TBR, and will hopefully be reading it either when it comes out, or before the end of the year.